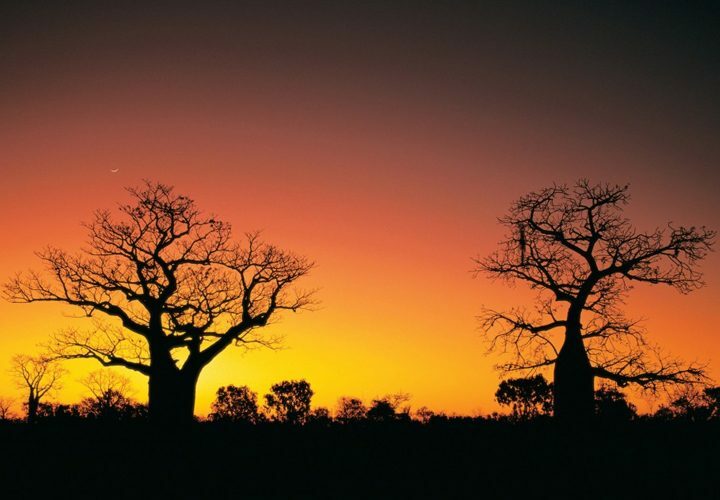 The Kimberley is home to a plethora of natural water attractions, including many amazing waterfalls. 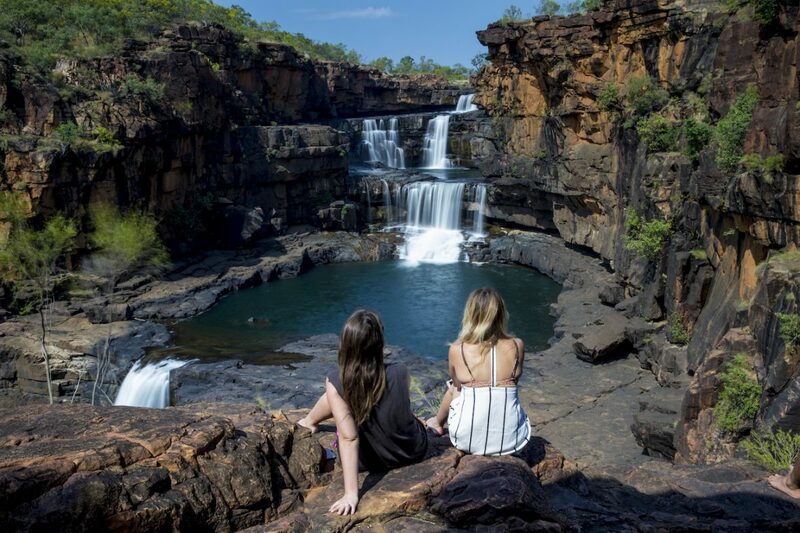 One of the best ways to enjoy the natural power of the Kimberley’s spectacular waterfalls is near the end of the wet season, or beginning of the dry season when the water flow is at its highest. Mitchell Falls is the second largest waterfall in the Kimberley. Being a multi-tiered waterfall about 80 metres in total from the top to the bottom. This amazing waterfall cascades down sandstone creating beautiful green pools as the rocks step down. The local Wunambal people call this area Punami Ounpuu. The falls are surrounded by the Mitchell Plateau which is bordered by lush rainforest abundant in wildlife. The Mitchell Falls are located in the Michell River National Park; remote, but still accessible. Approximately 84 metres above sea level, the King George Falls is the highest twin waterfall in Western Australia. The King George River is very significant to the Balanggarra people, as the falls represent the male and female Wunkurr (Rainbow Serpents). The falls are at their full force from late December to early May. 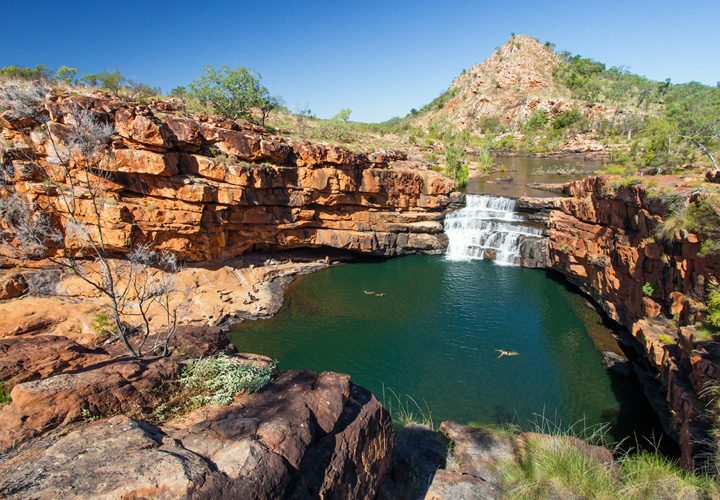 The King George Falls are located in the North Kimberley Marine Park. Due to the remote location the falls are inaccessible by vehicle but can be enjoyed by cruise or scenic flight. The Horizontal Falls is a truly unique natural phenomenon created by rapid tidal currents being forced through two narrow gorges. This effect creates a build up of water which thunders through the narrow gap creating a waterfall turned on its side. The Horizontal Falls are located at Talbot Bay in the Buccaneer Archipelago (a group of islands off the coast near Derby). A Horizontal Falls tour can have you experiencing this spectacular attraction by scenic flight or if you prefer, up close with a thrilling boat ride through the raging torrent. The King Cascades are best seen just after the wet season. Being fed by an underground spring, they flow throughout the year and can be enjoyed at any time. The falls cascade over 40 metres of rock ledges, creating a beautiful mist. King Cascades is only accessible by a cruise and you can climb above the falls for a tranquil dip in the natural pools in lush tropical surrounds. 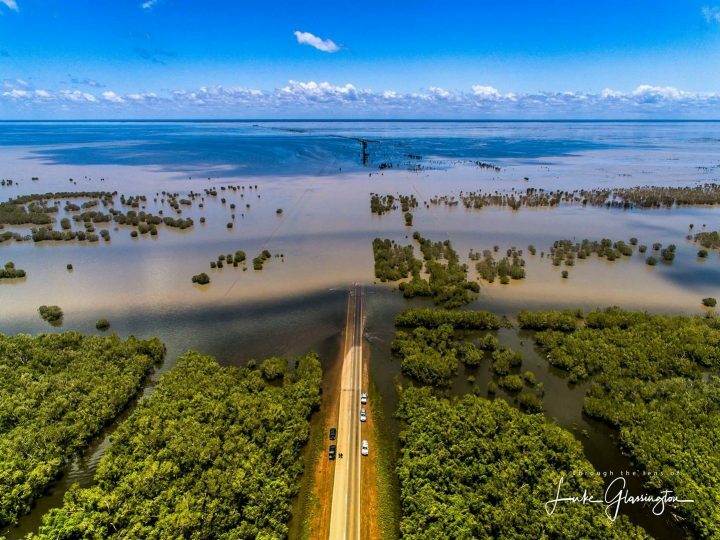 Kununurra means “meeting of big waters” in the local Indigenous language, so you can only imagine the spectacular waterfalls to experience in this area. The East Kimberley has many waterfalls to be captivated by, and are best viewed between February and March (depending on the weather). 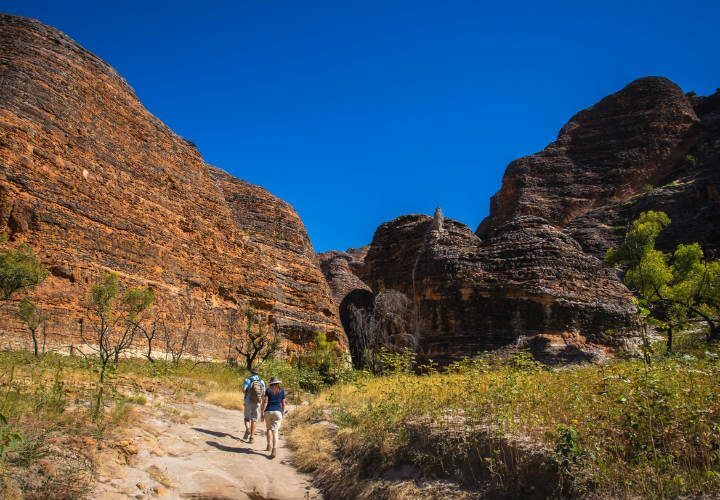 Some of the waterfalls to enjoy in Kununurra are Black Rock Falls, Middle Springs, Molly Springs, The Grotto, Harry’s Hole, and during the wet season your can cruise Lake Kununurra for a variety of amazing waterfalls. While the best time of the year to really experience the beauty and power of Kimberley waterfalls is just after the rain, there are still many which can be enjoyed at any time of the year. For example, a Horizontal Falls tour is perfect year-round, or even some of the smaller spring fed falls for a calm tranquil experience. The Kimberley offers such a huge range of breathtaking waterfalls you’ll want to add to your bucket list today.